The Museum of Anthropology at the University of British Columbia opened the Multiversity Galleries in January 2010 as part of a major expansion and renewal project. Rory Mathews was commisioned to design and produce fourteen 24" touch screen interactives to enable visitors to find out more about the 36,000+ exhibits. 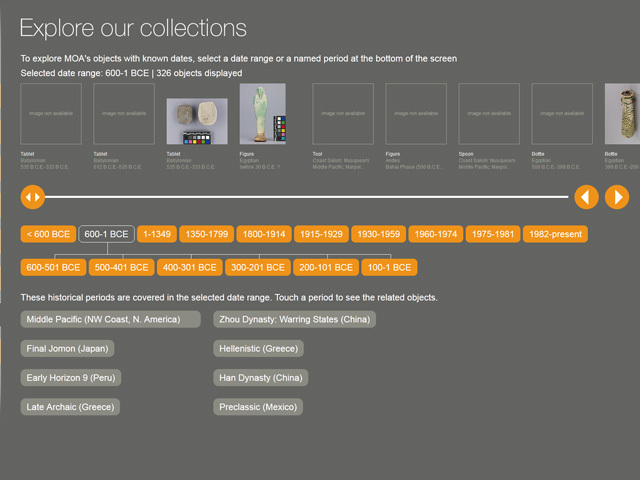 We built a tool to automatically update the interactives with data extracted and processed from the Mimsy XG collections management system and other sources. 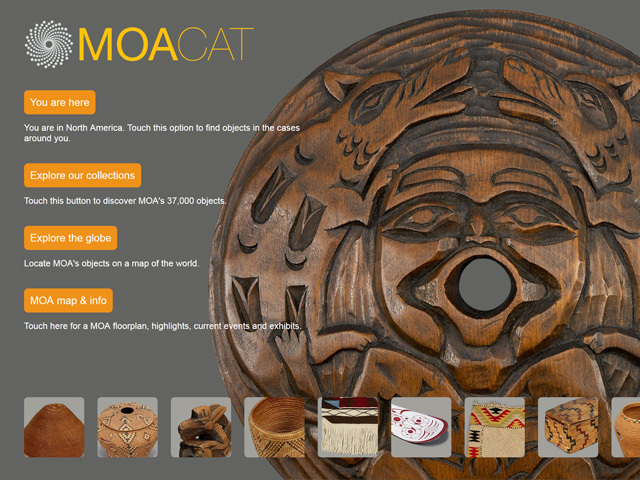 The interactive was repurposed using the same technology to create a smaller simpler version for the public website. The project won the Bronze Award in the Interactive Kiosks category at the 2011 American Association of Museums Muse Awards.